Veneers are a thin layer of porcelain or EMAX® which fit over the surface of your tooth. Veneers are used to improve the appearance of your smile. Veneers can improve the colour, shape and position of your teeth. They allow the Dentist to restore fractured or misshapen teeth and re-align inset or crooked teeth. To improve your smile further, veneers can be used in combination with Teeth whitening. 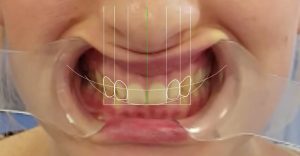 DESIGNING YOUR TEETH: Models are prepared of your mouth which will enable the Dentist to make a ‘diagnostic wax-up’ or ‘smile design’ of your teeth. This will allow you to modify the colour, shape and position of your teeth before we actually go ahead with the treatment. 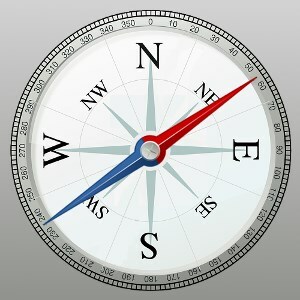 Only when you are happy with the design will we move on to the next stage. TOOTH PREPARATION: A small layer of the outer ‘shiny’ enamel layer of your tooth may be removed. Following tooth preparation, your Dentist will send impressions to the cosmetic dental technician to allow your bespoke veneers to be manufactured. 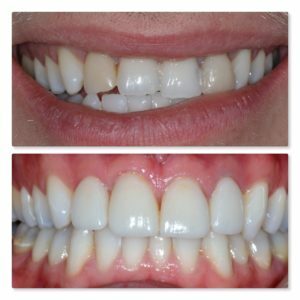 During this time you will be fitted with temporary veneers and your smile will already be improved. VENEER FIT: The temporary veneers are easily removed and replaced with either the porcelain or EMAX® An adhesive agent is used to ‘glue’ the veneer to your tooth. At Infinity Dental Clinic, we use EMAX® veneers to achieve a natural appearance. EMAX® is the latest innovation in dental restoration. It is a super strength pressed ceramic material. Due to the super strength of EMAX®, these veneers can be made ultra-thin so that the amount of tooth preparation you may need is kept to an absolute minimum. Not only is EMAX® ultra strong, but it is also the most natural looking material for a veneer. Our cosmetic technicians have extensive experience and skill with EMAX®, they are able to make veneers which look identical to your natural teeth. Where minimally invasive smile makeovers are planned, it is sometimes possible to use direct composite bonding. Composite ‘veneers’ allow your Dentist to improve the shape, colour, position and alignment of teeth. A tooth coloured filling material can be bonded to the tooth to improve the shape and appearance. Composite can be used to repair fractures, close gaps, increase the length of worn teeth or improve staining. This minimally invasive procedure can usually be completed in one visit and often requires little or no tooth removal. A veneer is a thin layer of porcelain or EMAX® permanently fitted over a natural tooth surface. Veneers will enhance your smile by improving the shape, colour and position of your teeth.